HomeFor ClientsAnalyticsForex Analysis & ForecastsForex Technical analysis and forecastsForex Technical Analysis 2010/10/28. EUR/USD, GBP/USD, NZD/USD, AUD/USD Forecast. Forex Technical Analysis 2010/10/28. EUR/USD, GBP/USD, NZD/USD, AUD/USD Forecast. 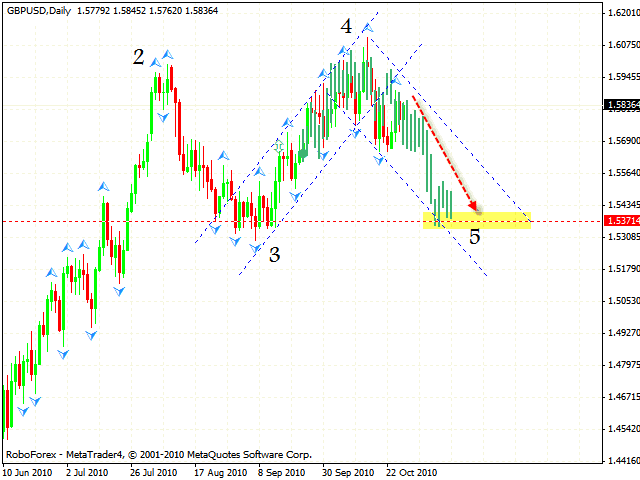 It seems like “diamond” reversal pattern has been completed and we can see by eur usd analysis that the pattern has been broken downwards. We keep trying to sell the pair, the closest target for us is the channel’s lower border, and the next target is a completed reversal pattern in the area of 1.3370. 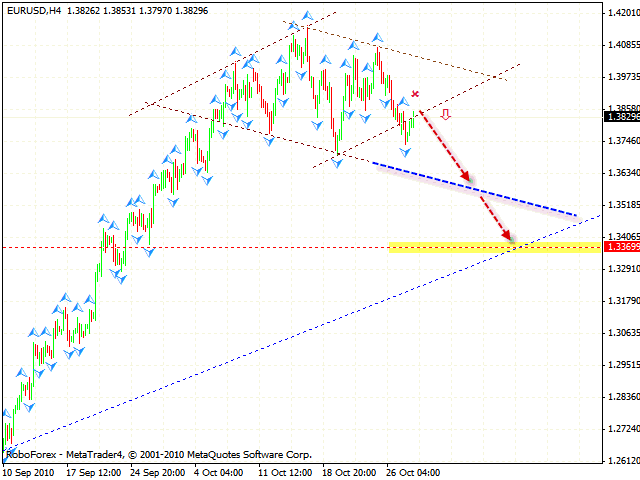 According to gbpusd forecast, before continuing to grow, Pound needs to test the local maximums. Here, judging by the symmetrical structure of the price, we should expect the pair to fall into the area of 1.5370 where we will consider buying the pair during a long-term period. The situation when the descending channel is broken will cancel this case scenario. New Zealand Dollar, as it was suggested in one of the scenarios, started to grow, but the price movement looks more like a correction and we should expect the pair to fall into the area of 0.7330. 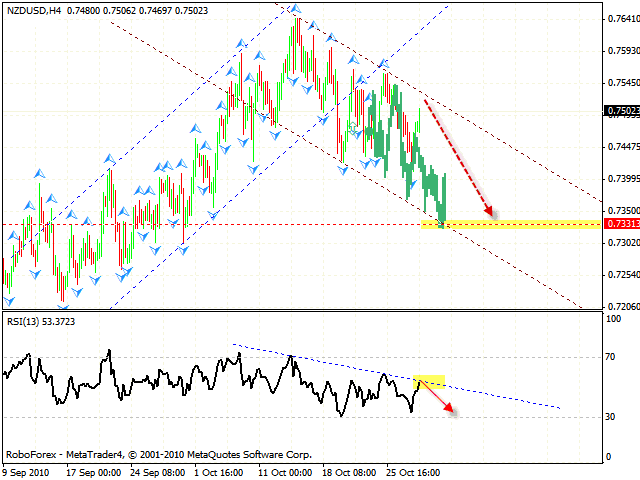 Test of the trend’s descending line at the RSI indicates that there is a possibility of resistance near this level. 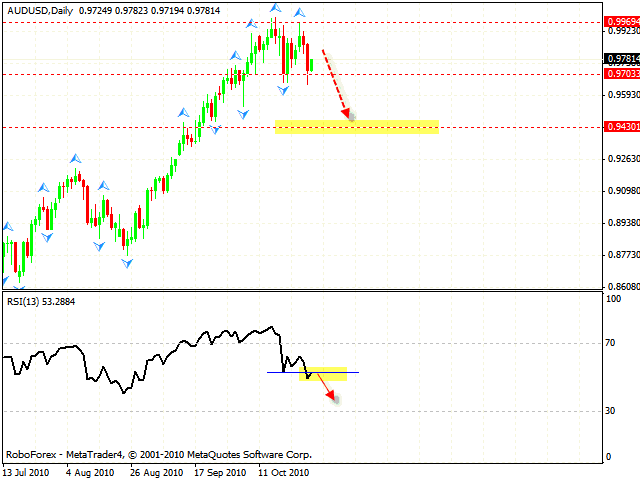 Judging by nzdusd forecast you can try the tight stop sales. Aud usd analysis shows that the RSI forex online indicator has broken its own support level and at the moment we can see it go back to the broken level. In case of this currency pair we also should expect it to fall. But if the support level is broken at the price itself, we will see the formation of “double top” reversal pattern with the target in the area of 0.9430.